H. E. Mohamed Elkhatib – commercial Consul of Egypt in Brazil met today Mr. 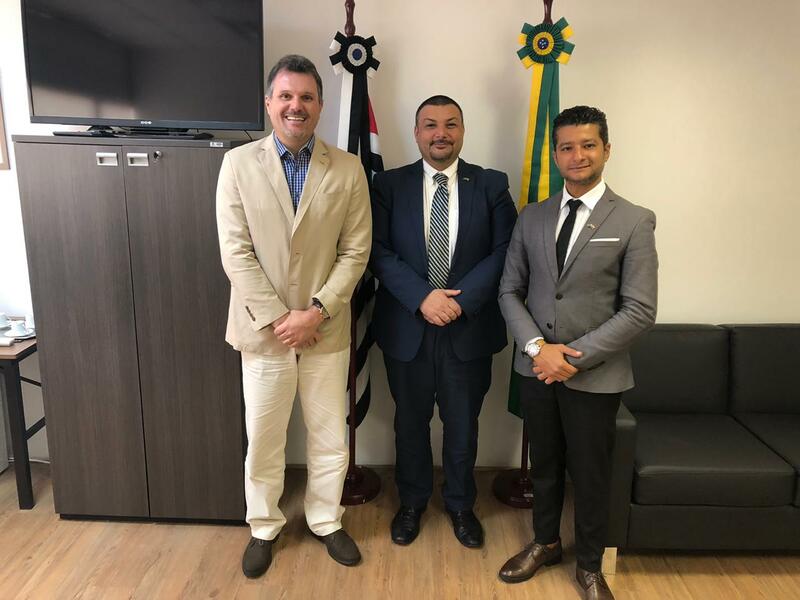 Junior Aprillanti, Secretary of the State of São Paulo for Tourism and Mr. Sedik Faragallah, the owner of Horus Viagens and the one organizing the visit of Dr. Zahi Hawwas to Brazil. The meeting aimed at discussing the means of cooperation between the organizing company and the secretariat to ensure better media coverage and raise the awareness of this visit and its importance among people in São Paulo. The Secretary of Tourism promised to give his full support and assistance to the event and it’s organizers to have it as the biggest and most important one taking place in São Paulo this coming December 2018.